AtranAirlines at Xian Xianyang International Airport prior to its departure for Moscow. 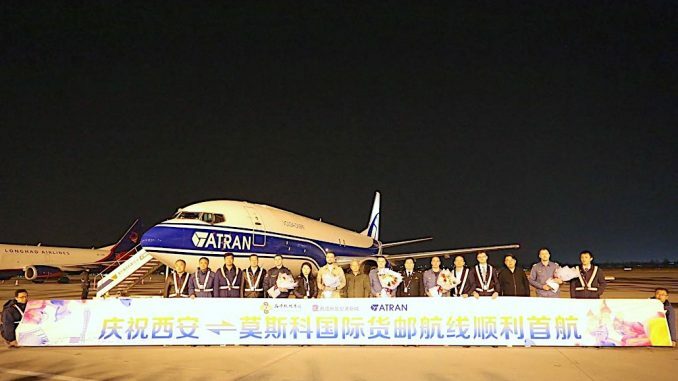 Atran Airlines, the Russian air express carrier within Volga-Dnepr Group, has launched a new maindeck route linking Xi’an, China, with Moscow, Russia. The first flight was operated by one of Atran’s B737-400SF freighters with further plans for B737-800BCF deployment to be able to guarantee up to 23 tonnes of cargo capacity per flight. Atran’s first flight was operated with the support and close cooperation of Russian Post, the carrier says. Being the second largest airport in Northern China, Xi’an Xianyang International Airport (XIY) offers less congestion and is eager to attract new air cargo carriers to accommodate the emerging growth of cross-border e-commerce shipments between China and Russia. “Embracing new destinations and leveraging emerging markets for cross-border shipments are on the radar of our business development,” says Dmitry Obsharov, general director of Atran Airlines. “With global e-commerce growing at 20 per cent per year and forecast for a nearly 15 per cent uptick in Russia over the next three-four years, the demand for high-quality air cargo services will be high. We are ready to guarantee this in close partnership with Russian Post and China Post. “Being part of ‘Belt and Road’ initiative, this ancient capital of China will undergo developments which will facilitate its transformation into a multi-modal hub with emerging volumes going through the airport,” Obsharov adds. Atran Airlines has been focused on accommodating the evolving traffic of online purchases between China and Russia, and on meeting the tightening timeframes of international delivery. Its recently expanded fleet, which now comprises B737-400SF and B737-800BCF cargo aircraft, will support the company’s network expansion and guarantee maindeck capacity for its customers, it adds. 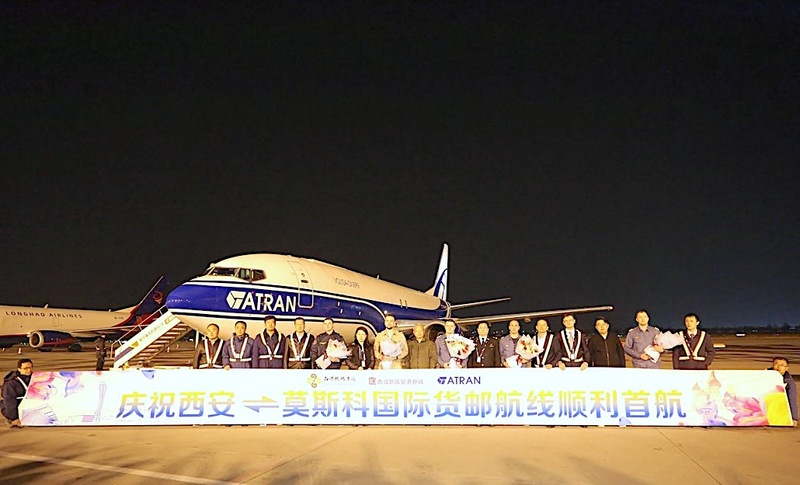 Atran Airlines, the Russian air express carrier within Volga-Dnepr Group, has launched a new maindeck route linking Xi'an, China, with Moscow, Russia.